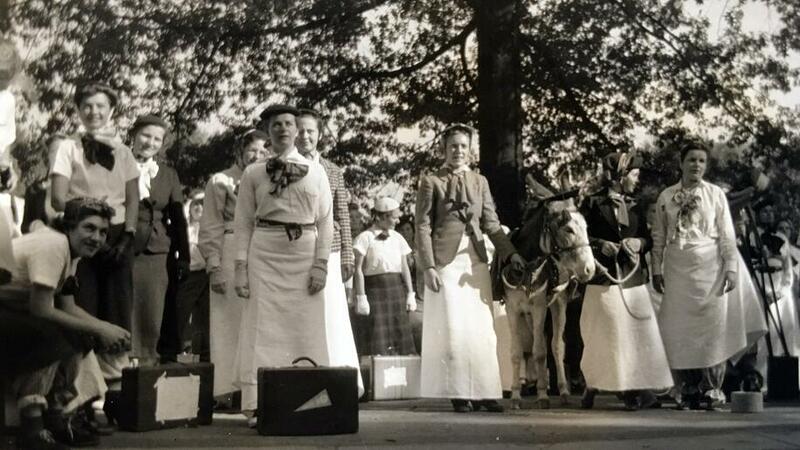 From its start, likely sometime in the early 1900s, Freshman Day was a misnomer. The day involved a variety of bonding activities between first-year and upperclass students. Firsties played basketball and other games against sophomores for bragging rights. And firsties humbly obliged to the playful bidding of seniors, for the sake of tradition, by doing little tasks for them. 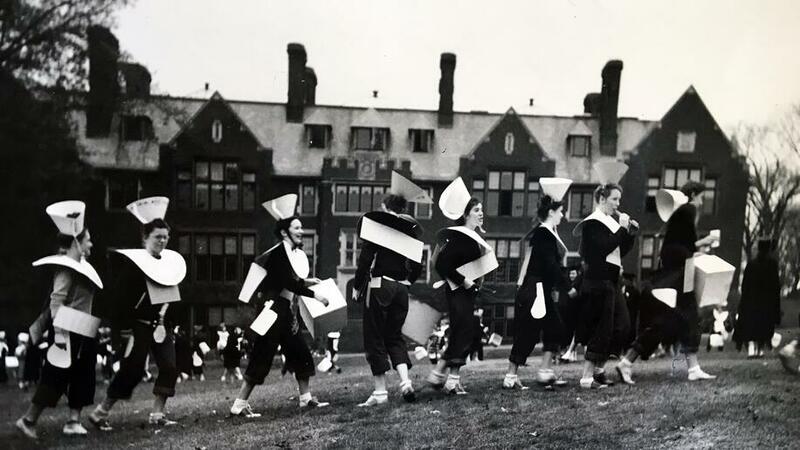 By the early 1940s, Freshman Day became Hazing Day. 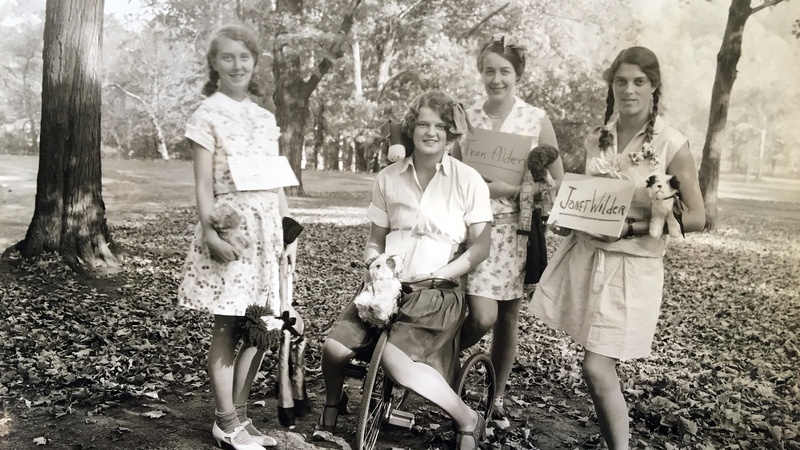 Perhaps emboldened by the 1937 retirement of the rather strict President Mary Woolley, seniors took hold of the tradition — minus the sophomores and with a host of creative themes and ideas in mind for first-year students. The aim was for seniors to get to know firsties outside of their own residence halls in a fun way. Seniors wore academic robes; firsties wore costumes. Come the end of the day, the emphasis on rank would be dropped and seniors would often treat firsties to a night out. Beginning in the 1970s, the fall tradition at times evolved from a daylong to a weeklong event. Costumes, class colors, singing, loud merriment and bonding — multiplied. In 1985, the passage of an anti-hazing law in Massachusetts sparked the tradition’s most recent name change. Although Hazing Day wasn’t targeted by the law per se, the name was changed to DisOrientation. 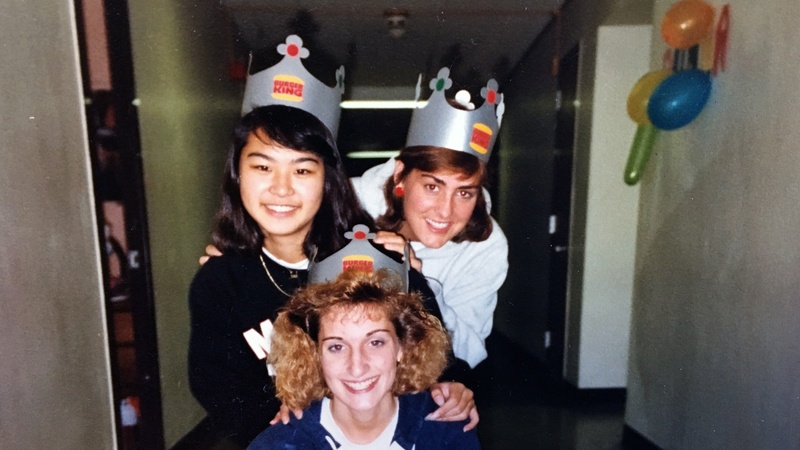 Rules to guide the tradition were set in place by the class of 1989’s class board and were added to in subsequent years. 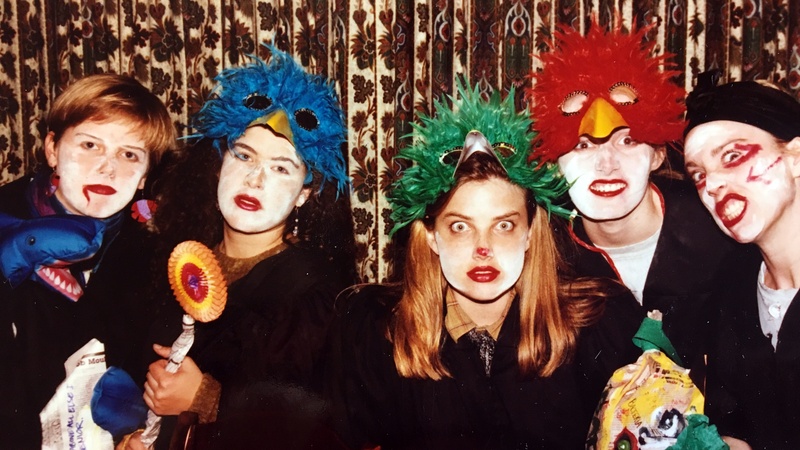 In 1992, a protest of the senior class of 1993 was set off after the College called for last-minute rule changes to Dis-O — including the request for seniors to submit a list of each residence hall’s planned activities — and the tradition was sparsely celebrated. But in years since, the tradition has hit its stride. Perhaps the most unusual feature of Dis-O is that its date remains a secret to all students except the senior class. 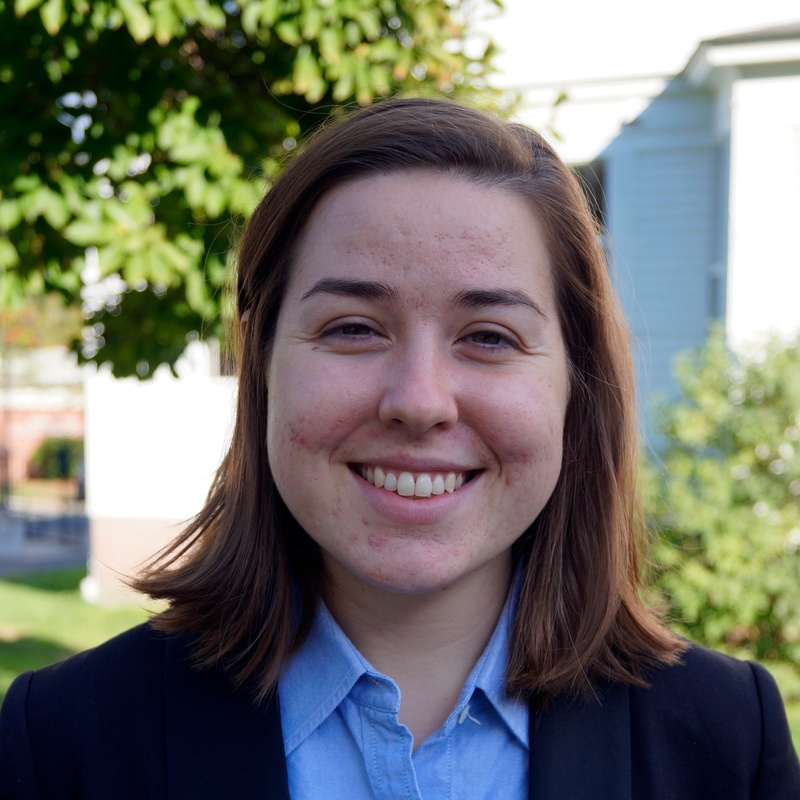 In recent years, Dis-O has taken place in early November, following the election of the first-year class board. Given the particularly tumultuous presidential election season in 2016, the class of 2017 decided to mix things up and moved DisOrientation to the spring semester. Not only did this keep the first-year class guessing about the date, it also opened up a new opportunity for “springies” (first-year students who begin in the spring) to participate and bond with the senior class. Dis-O 2017! Bottom (L to R): Kimberly Neil ’17, Juliet Martone ’17, Omaima Afzaal ’17, Isa Rodriguez ’17. Top (L to R): Acting President Sonya Stephens, Azulina Green ’17, Sarah Hwang ’17. At 9 p.m. on Feb. 8, 2017, seniors gathered in various locations around campus. Clad in their wildest green attire and graduation robes, they began chants of “20-20!,” “First years!” and “Dis-O!” As they roamed the halls of residence halls and academic buildings, seniors handed out blue beads and song lyrics to first-year students, inviting them to join the festivities and to proceed with them to the Kendade atrium. Once inside the atrium, students had an impromptu dance party and competed over which class could cheer the loudest. 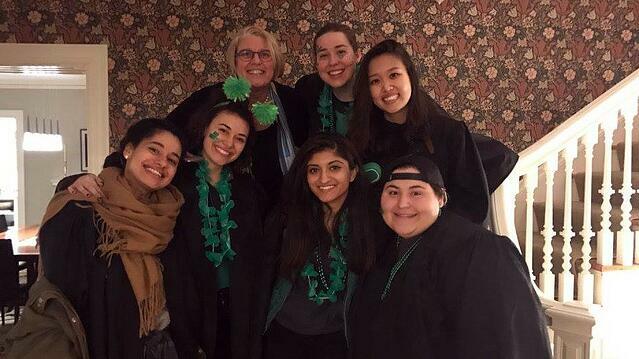 Then students marched across College Street to meet Acting President Sonya Stephens, who welcomed them into her home for M&Cs. Dis-O is certainly an ever-evolving tradition, but at its core it serves to promote class spirit and build camaraderie between the bookend classes. The photos here, except for the photo of Dis-O 2017, are courtesy of Mount Holyoke College Archives and Special Collections. At top, first-year members of the class of 1933 “assume youthful disguises” during Freshman Day, 1929.